Even long time North Carolina residents might not be familiar with the small suburb of Harrisburg, but it is a place that we, at Allison Fence Company, hold dear and are proud to call home. Harrisburg is located just a short drive north from Charlotte on the eastern side of I-485. Its proximity to the largest city in North Carolina makes it an ideal destination for those who want easy access to the city without having to live downtown. As a result, many business people make the daily commute from Charlotte to enjoy the quiet, wooded neighborhoods of Harrisburg. This section of the Piedmont region of North Carolina offers a unique combination of amenities and access to parks and outdoor recreation areas. While Charlotte is one the major financial capitals of the country and the Charlotte Douglas International Airport is a high traffic transportation hub, all it takes is a 20-minute drive to escape the city and enjoy extensive state and national parks. This has made Harrisburg a destination for both professionals and families who want to achieve a work/life balance. One the main draws of Harrisburg is its proximity to the expansive Lake Norman. This large lake is lined by communities, parks, golf courses and other recreation areas. Locals and visitors can hike trails, water ski the lake or explore dozens of inlets in a kayak or canoe. With so much to do, more people are choosing to call Harrisburg home and Allison Fence Company continues to meet the needs of area homeowners and businesses. Our approach allows us to provide the resources and services of a large-scale operation with the personalized feel of a local business. 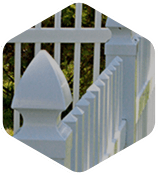 Technology has significantly improved fencing and helped to provide a wider range of durable and affordable materials that can be used to create custom fences that offer security and privacy along with aesthetic appeal. 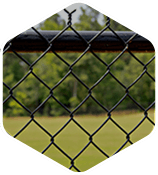 If you picture chain-link and wood when you think about fencing options, you may be surprised to learn that there are also steel, aluminum, PVC, vinyl and other available fencing materials that offer a range of unique benefits. 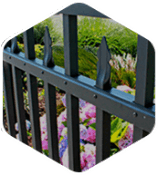 Our custom solutions will allow you to enjoy the natural beauty that helps make Harrisburg such a great place to live while also providing a long-lasting fence. Local Harrisburg businesses also turn to Allison Fence Company to secure their properties, protect inventory and provide a safe place for employees. With the right fencing strategies, you can install durable and affordable fence and gate solutions that effectively control access and provide you with invaluable peace of mind. We have decades of experience meeting the changing needs of area businesses and providing unbeatable commercial fencing solutions. We can put our expertise to work for you and deliver results. 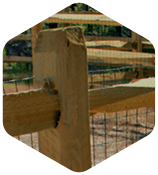 When you partner with the best fencing company, you don’t have to worry about compromising. We will work directly with you to find the best combination of materials and custom design solutions to fit your budget. As a trusted member of the Harrisburg community, we go above and beyond to make sure that all our customers are treated just like family. 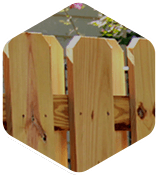 Begin your residential or commercial fencing project by giving us a call today and learning more about your options. Our experts will be more than happy to answer your questions, provide you with valuable information about the advantages of various materials and help you schedule a fencing quote. Your friends, family and neighbors in and around Harrisburg and Charlotte have trusted Allison Fence Company for years and we look forward to hearing from you next.